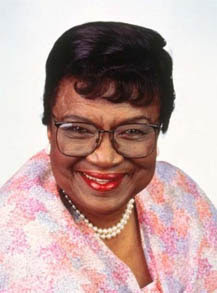 As a result of a Wikipedia chain too long to remember, I ended up on the page for Rosetta Lenoire, the actress who played Mother Winslow on Family Matters. I think that I actually began the series with trying to find out what habit the various C-levels appearing on VH1's Celebrity Rehab are trying to kick. In her profile, I found a great example of why Wikipedia should allow editing by a smaller chunk of the population than does now. As a young girl, LeNoire suffered from rickets, which her godfather Bill "Bojangles" Robinson helped her overcome by teaching her to dance. LeNoire made her acting debut in a 1939 production of The Hot Mikado, starring Robinson (wherein she played a Japanese!). If you caught the sentence that seems like it was written by a person who has never read an encyclopedia, then you just might be smart enough to edit the Wikipedia. Let's focus on this for a moment: Not only does the parenthetical sentence chunk use an exclamation point, it also both uses the unfortunate phrasing of "a Japanese" and includes a pronoun with no clear antecedent. Well, it's actually clear that the "she" is Rosetta, but the sentence sets the "she" up so that it seems like it refers to Bill "Bojangles" Robinson. Which is just funny. Oh, Mother Winslow, as long as I can see your reassuring face, all is right in the world.